This recipe for Hula Pie Frappe Shake is inspired by the famed Hawaiian Dessert, Hula Pie. The original Hula Pie contains macadamia nut ice cream in a cookie crust, topped with chocolate ganache, whipped cream and chopped macadamia nuts. 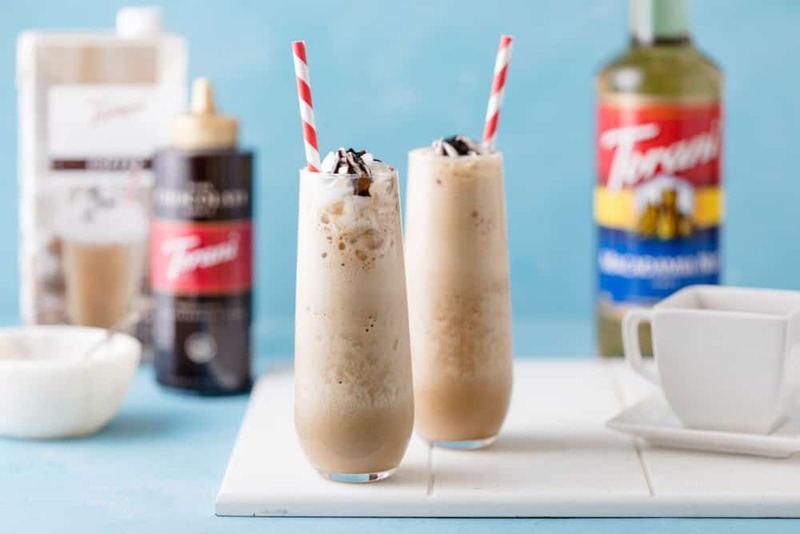 We’ve mixed these flavors together into a frozen drinkable coffee version. This post is sponsored by Torani but all opinions expressed are genuine. 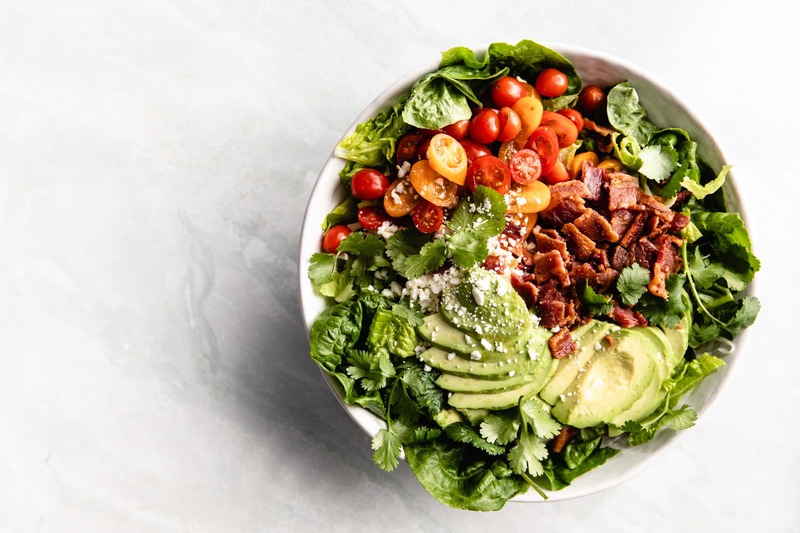 Want to save 10% on your first order? Sign up for Torani’s e-newsletter HERE and get your sweet discount. You also have the chance to WIN a year’s supply of Torani syrups. Enter to win at the bottom of this post! 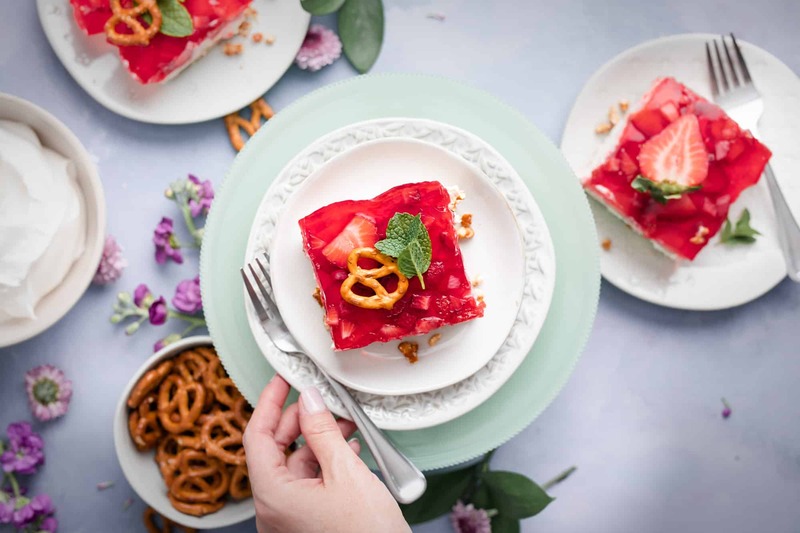 I’m headed to Hawaii this summer and cannot wait to take a bite of Hula Pie. It’s the dessert to end all desserts. 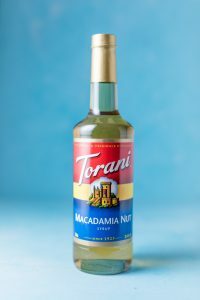 But, since I haven’t hit the island yet, I teamed up with Torani to bring you a drinkable version made with their signature Coffee Frappe base, macadamia nut syrup, and rich chocolate sauce. 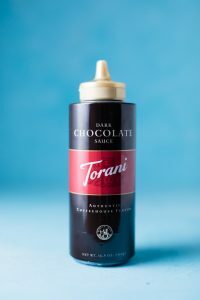 I assume you’re already familiar with Torani’s awesome line of syrups and sauces (100 different flavors! ), but have you tried their Frappe base? 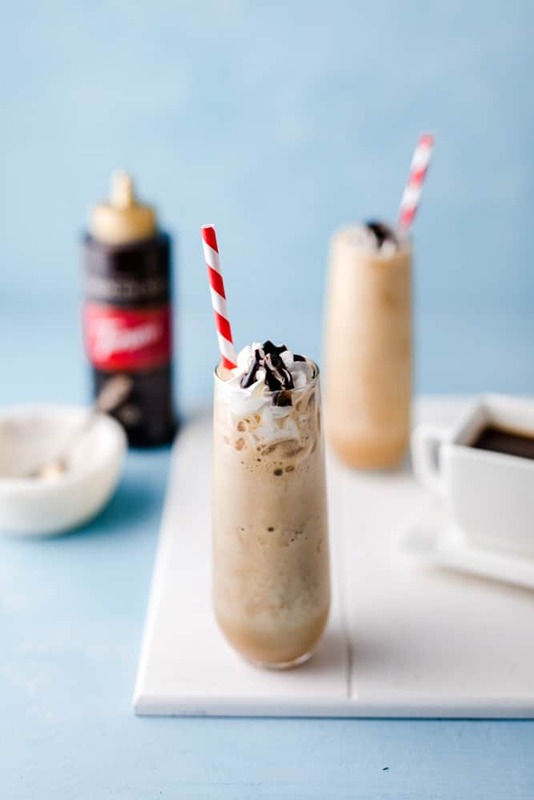 It comes in vanilla and coffee varieties and all you have to do is blend it with ice to make a flavor-filled drinkable treat. Think coffee house style blended drinks but making them at home with zero effort. 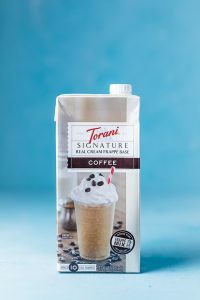 Torani’s frappe is great on its own or mixed up with a few simple flavors like we’re doing here. It doesn’t take a lot to make something amazing. Adding chocolate and macadamia nut to the party will bring you all the island vibes and whisk you off to paradise for the duration of your drink. It’s easy to make. Bust out the blender and combine 16 oz of the Frappe mix (I like the coffee for this the best, but the vanilla works great here, too!) with 2 cups of ice and 1 Tbs of the macadamia nut syrup. Blend it all up then top with whipped cream and chocolate syrup. If you want to get crazy, you can also mix in chocolate syrup to the blender. I guess it all depends on what kind of day you’re having. And then dive on in. Yes, it will look this refreshingly fabulous in your kitchen, too! 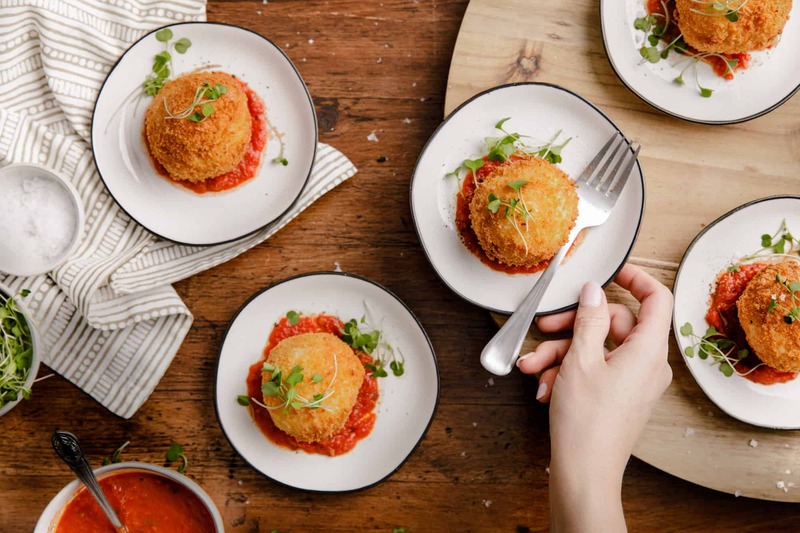 Which serving glassware should you use? I was in the mood for champagne flutes when I made up this batch, but your old standard coffee cup will do just fine. Life is good as long as you can insert a straw and share a second one with your friend. 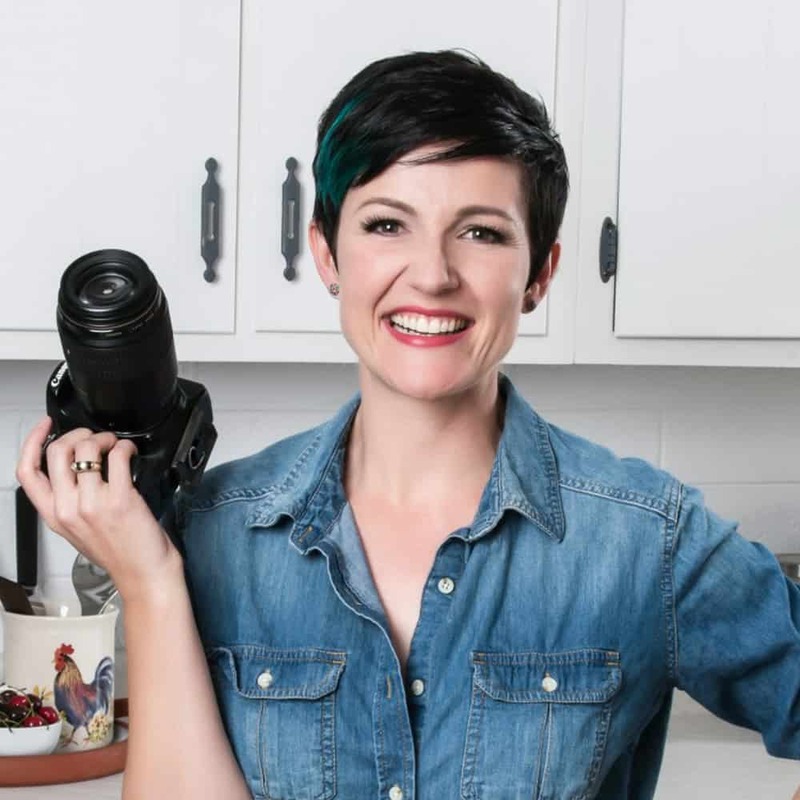 Want to learn more about Torani? Visit them online or follow them on social media including Facebook and Instagram. Have fun making it #aToraniVacation. 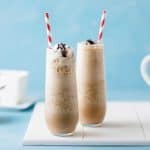 A frozen sweet coffee drink with the flavors of chocolate and macadamia nuts swirled together in a quick blended drink.